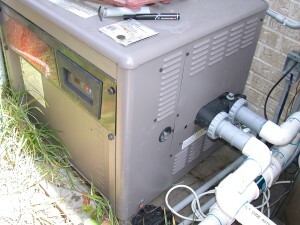 Finding experts service for heat pumps is as easy as giving Fisher Mechanical Inc. a call. We provide the best in quality workmanship for each of the customers we work with. Together, the ultimate goal is to be able to ensure that you get the peak performance and optimal longevity that you want, need and deserve from your system. For approximately 60 years now, we have been the company Horsham, PA locals rely on to help them with installation, repairs and replacement of their heat pump. It could be that it simply is not running. Aside from making sure the thermostat is on and set correctly (you would be surprised how often that is the culprit) there are a number of things that could be wrong. Check the circuit breaker and even try turning it off and back on, then give us a call. If your heat pump runs but doesn't seem to cool properly, check the filters. Failing to regularly change the filters is a leading cause of a number of problems with many types of heating and cooling systems. Maybe your system is cycling too frequently, which is often caused by a malfunctioning blower. Again, first check the filter, then call us to provide you with maintenance.